As unfortunate as it can be when homeowners fall behind on mortgage payments and must face the possibility of losing their homes, short sales and foreclosures provide them options for moving on financially. The terms are often used interchangeably, but they’re actually quite different, with varying timelines and financial impact on the homeowner. 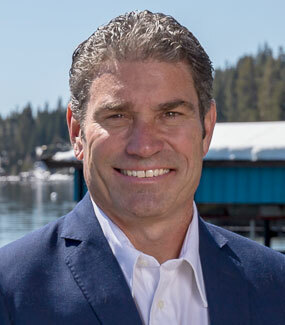 The appeal of the Lake Tahoe home foreclosures is that, as opposed to purchasing the same at a Lake Tahoe foreclosure auction, when the lender acquires an REO (real estate owned), they usually attempt to resolve any other liens to get a clear title, as well as deal with tenant evictions, and clean the property, so when the property is resold as a Lake Tahoe foreclosure it is usually free and clear of any liens, tenants, and mess, and still well under market value. This Lake Tahoe home was sold for $922,000 as a REO at 4037 Courchevel Road in Tahoe City. This Tahoe Property was sold for $808,000 at 349 Forest Glen Road in Squaw Valley. This Lake Tahoe Property sold at $402,000, located at 3003 Meadow Ct. #3 in Olympic Valley. This little Tahoe Charmer sold for $363,000 at 13246 Hansel Ave in Truckee.